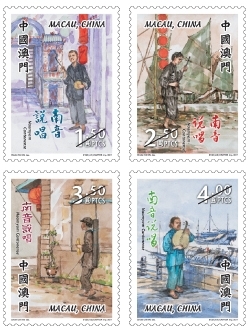 Naamyam is the narrative singing in Cantonese dialect, popular in the region of the Pearl River Delta, originally sung by the blind singers. 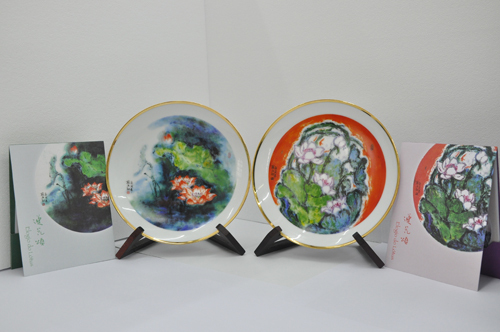 To protect this precious traditional art, the “Cantonese Naamyam” was successful included on the recommended list in the third batch of National Intangible Cultural Heritage List in 2010 upon application by the Macao SAR Government. 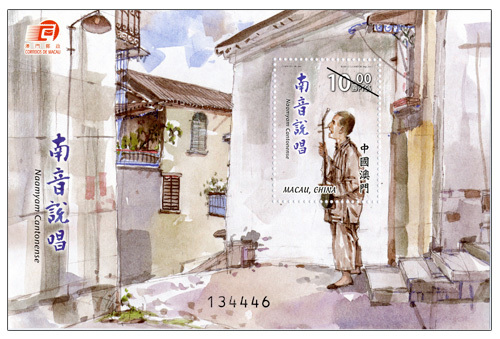 Macao Post will issue this stamp theme on 30th May, 2011. 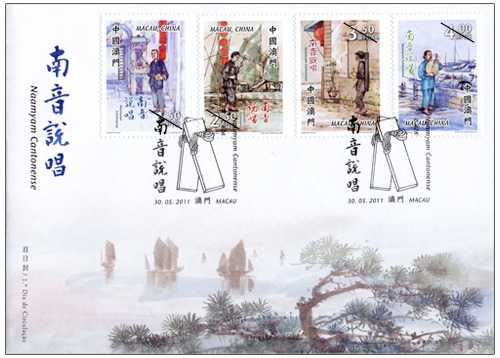 This issue includes a set of four stamps and one souvenir sheet, which vividly captures Naamyam in Macao. 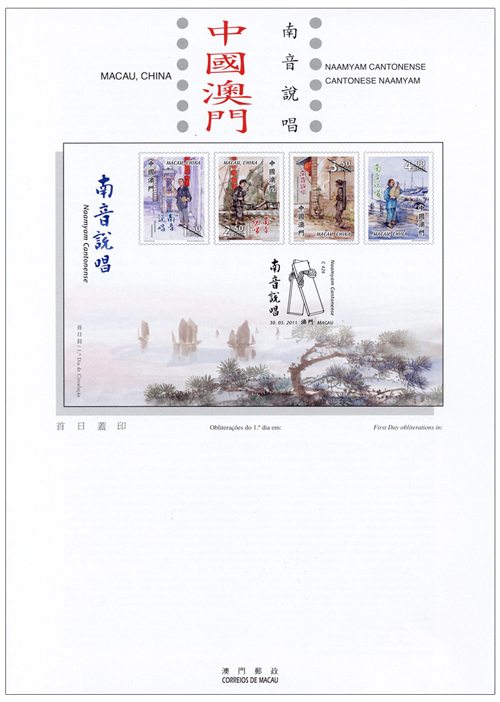 The design of this stamp issue and the text of the information brochure are come from Mr. Chan Chi Vai. 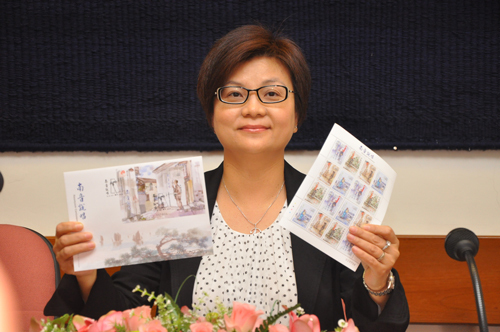 To promote this issue, Macao Post has invited the stamp designer Mr. Chan Chi Vai to attend the autograph session held at the Macao Post Headquarters on the issue date. 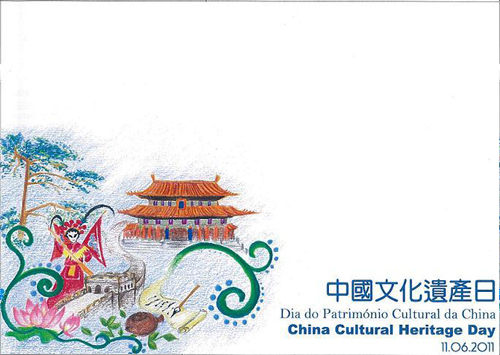 Mr. Chan will also present the live demonstration of “Naamyam” that he composed, together with the accompanist Ms. Ng Weng Mui. 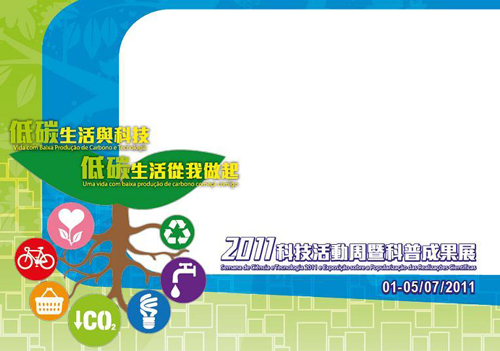 This promotional activity will be taken place between 1:30p.m. 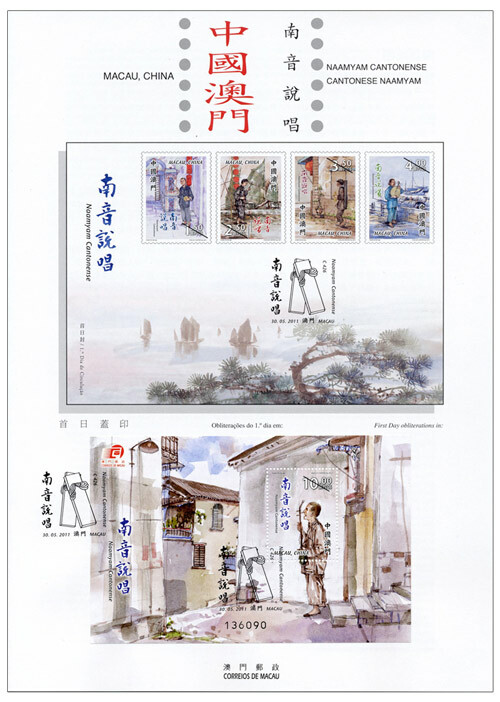 to 2:30p.m. 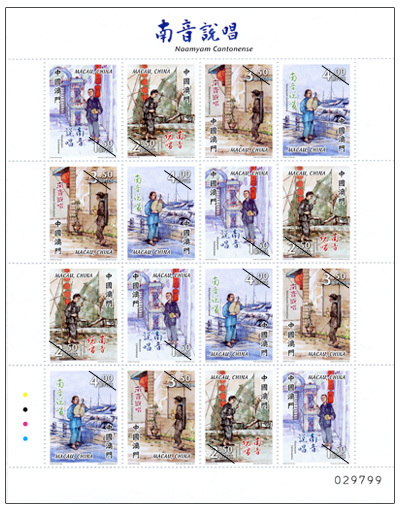 This is the fourth issue in 2011. 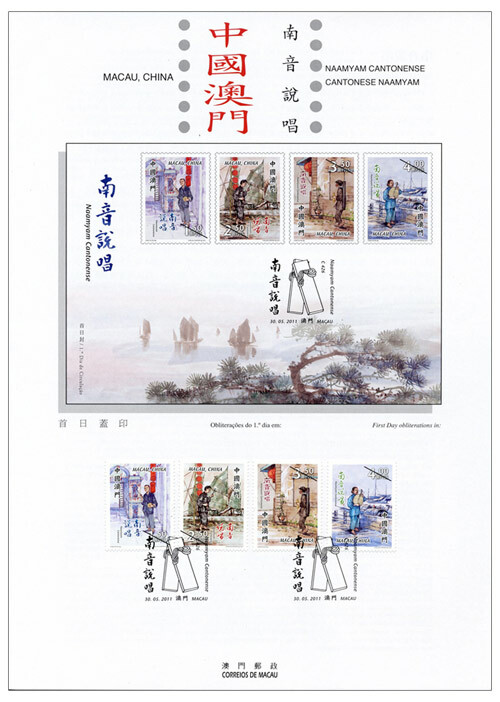 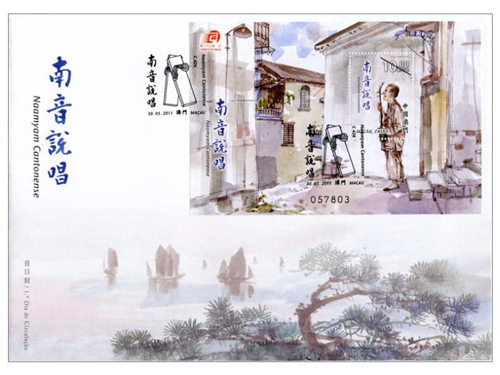 The previous issued stamps are “Lunar Year of the Rabbit” on 05/01/2011, “Mainland Scenery IV” on 01/03/2011 and “Public Buildings and Monuments” on 19/04/2011. 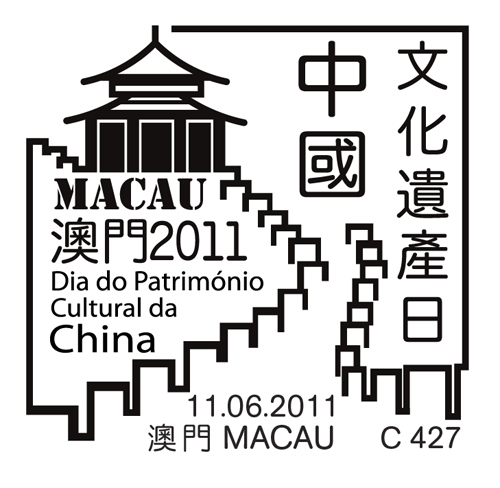 Commemorative Postmark Cancellation Service of "China Cultural Heritage Day"
To celebrate the China Cultural Heritage Day, Macao Post announced that a Temporary Post Counter will be set up at the Lilau Square, from 14:00 to 17:30 on 11th June 2011 to provide the commemorative postmark cancellation service for the "China Cultural Heritage Day". 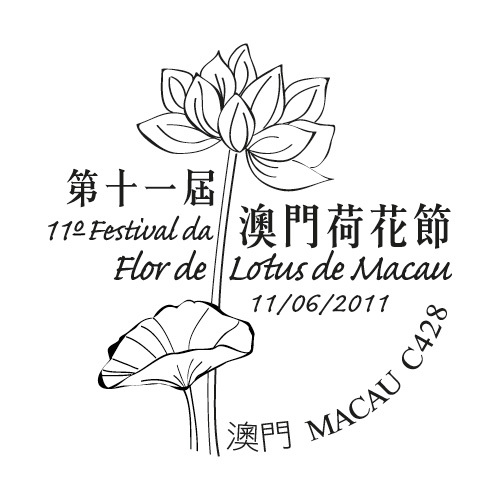 To celebrate the 11th Macao Lotus Flower Festival, Macao Post announces that a Temporary Post Counter will be set up at our Philatelic Shop located at Macao Post, from 9:00 to 18:00 on 11th June 2011 to provide the commemorative postmark cancellation service for “The 11th Macao Lotus Flower Festival”. 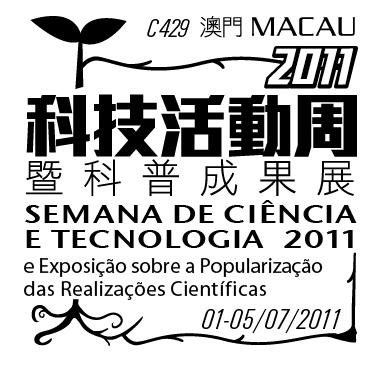 To celebrate the Science and Technology Week 2011, Macao Post announced that a Temporary Post Counter will be set up at the Macau Fisherman’s Wharf Hall and our Philatelic Shop located at Macao Post Headquarters during 1st to 5th July 2011 providing the commemorative cancellation service for the “Science and Technology Week 2011”.